On Saturday 14th May and Sunday 15th May the Woodhead Heritage team joined the Delapre Abbey Trust and Northampton Borough Council in hosting a special weekend’s activities, celebrating the restoration of the Grade II* Listed building. The £6.3 million project, funded by the Heritage Lottery Fund, Northampton Borough Council and other donors is being delivered by Woodhead Heritage and will culminate in the building being open to the public in spring 2017 to celebrate the site’s 900-year history. The weekend’s event gave members of the public the chance to find out about the project, including results of the archaeological work so far and the plans for the abbey’s exciting future as an engaging historic visitor attraction. Specialists from the Woodhead Heritage team Parish Joinery, Landmark Lifts, Northampton College and Hirst Conservation carried out a number of workshops with visitors in traditional building techniques, as well as being on hand to answer questions about the work taking place. 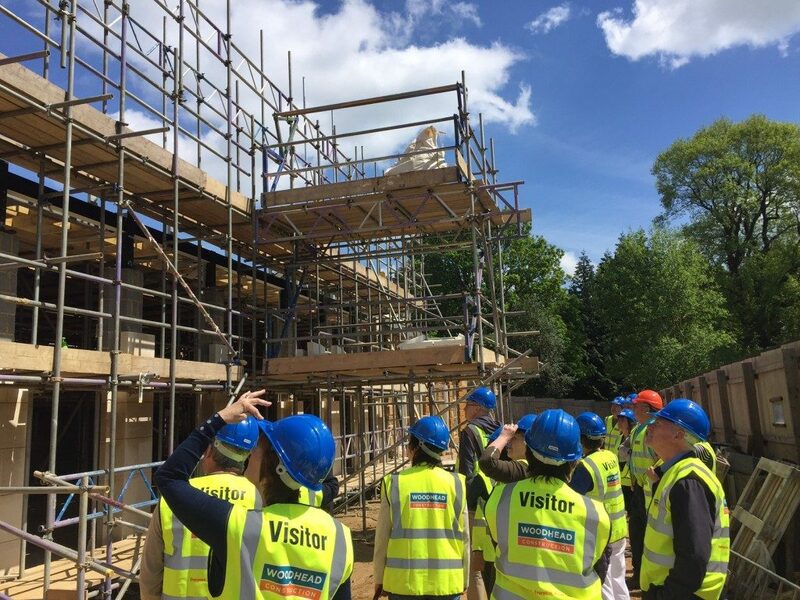 In the region of 600 people were taken on hard hat tours of the Abbey looking at the restoration works already under way, and exploring more of what the project will achieve.